The article published on your site “Scientology critic Leah Remini says Tom Cruise could ‘end this’ if he wanted” is nothing but a vile and bigoted anti-Scientology attack on my religion. In truth, this is just pure bigotry and hate. 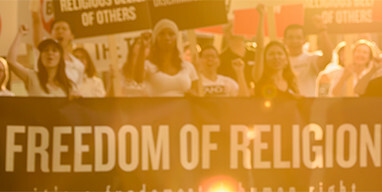 The web page of the United States Department of Justice dealing with religious freedom doesn't say “Protecting the Religious Freedom of All, Except Scientology.” It states, “Protecting the Religious Freedom of All.” It is all-inclusive because that is the overriding all-embracing principle at the heart of our democracy. Bigotry of any kind has no place in our society.